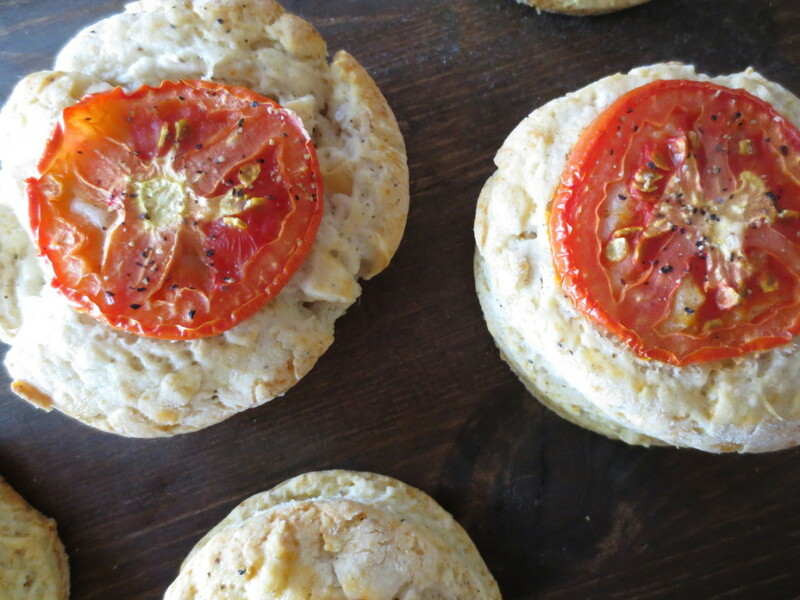 Another biscuit recipe- it’s too yummy not to share! Several years ago I spent a long weekend in New York with my sweet cousins. We spent the weekend doing some site seeing, but mostly hitting up some of the best bakeries we could find! We ate at some of the most amazing places from the famous Magnolia’s Bakery, to Cafe Lalo from You’ve Got Mail (it’s nothing like it was in the movie), and it was an amazing trip! One day we were walking down to a boat tour near Chelsea Market, and we came across a little hole-in-the-wall bakery in the middle of a row of apartment buildings- I wish I could remember the name! It was tiny, and full of amazing breads and other treats. 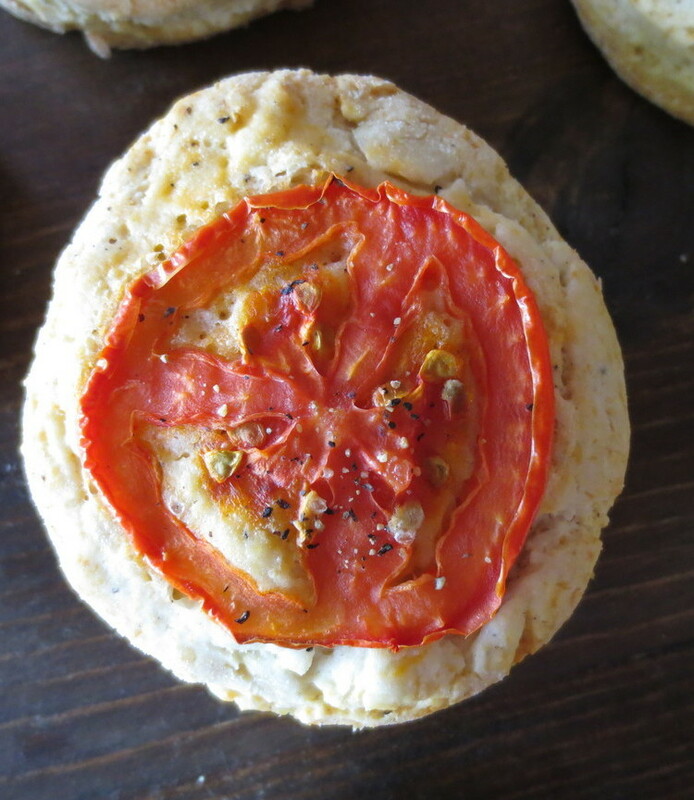 I got a slice of heaven in the form of a piece of focaccia bread with slices of tomato baked right into the top. If you know me, you know I’m veggie hater. It’s a real prob. But this was probably my first encounter with a tomato that I loved. It was slightly sweet, bursting with flavor, and the bread was delicately bloomed all around each slice of tomato. It was one of my favorite bites we had the entire trip, and we hadn’t even planned to go to this place! These biscuits are inspired by that sweet little bakery somewhere in New York City. The biscuit provides a heartier base, and I’ve added in some fantastic spices to bring everything together. Plus, if you’ve never made roasted garlic before, drop everything and do that now- it’s every bit as good as you dreamed it would be. I hope you love it- Enjoy! Pour olive oil on top of the head of garlic. Wrap with foil. 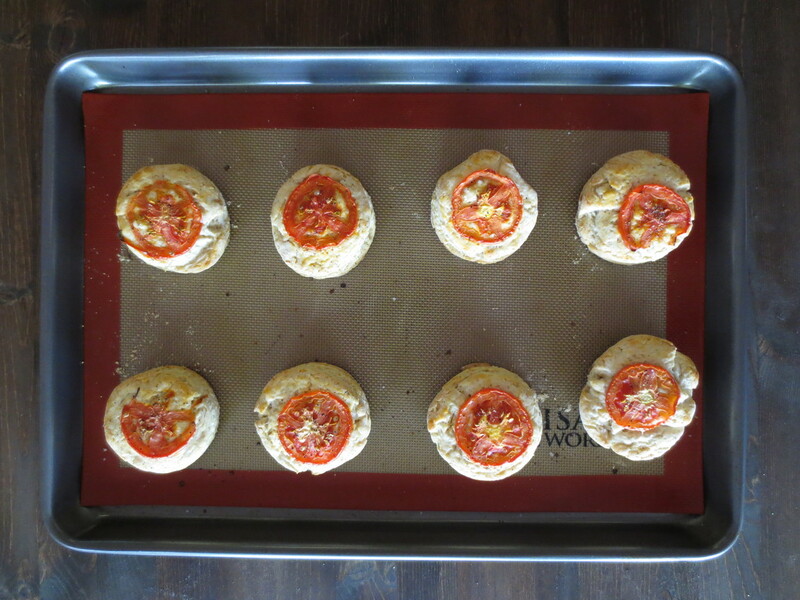 Bake at 400 degrees for 30-40 minutes, or until the garlic is fragrant. Allow garlic to cool completely, then you can squeeze the garlic out! Mix together the flour, sugar, baking powder, salt, pepper, and oregano. Cut in the cold shortening with a pastry blender or your hands until crumbly. Add in the buttermilk and garlic, and fold together until dough forms. On a floured surface, pat the dough until about 1 inch thick. 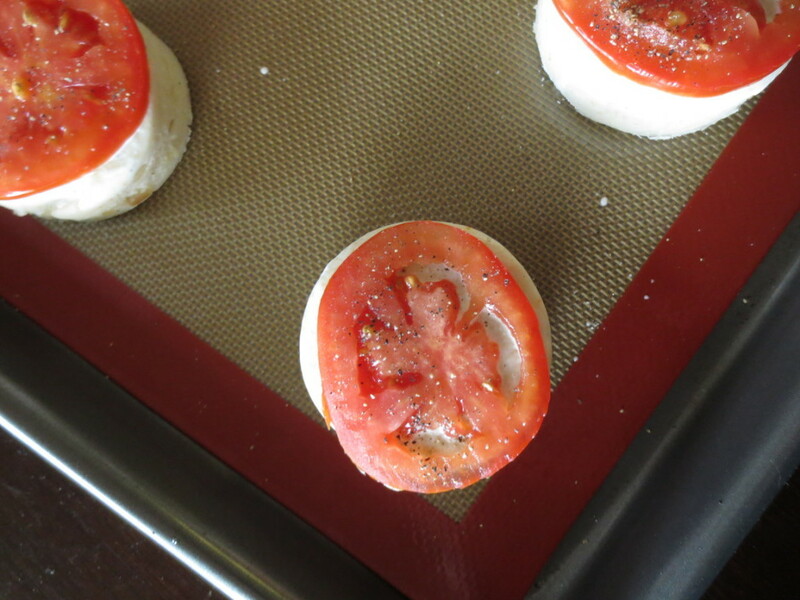 Cut out, and place on a baking sheet. 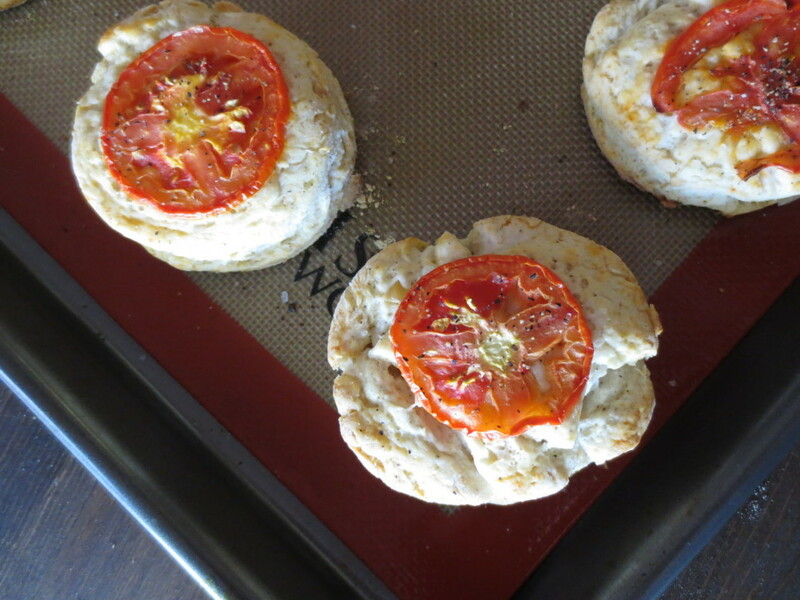 Brush the biscuits with your heavy cream or milk, and then top with slices of tomato, and sprinkle with coarse salt. Bake for 13-15 minutes, or until biscuits are golden.